Hello Bar is an amazing app created for conversion optimization. The app is found in 2012 by Neil Patel – a kind of a big deal in the online marketing community. It quickly got raving feedbacks and reviews from thousands of users then. 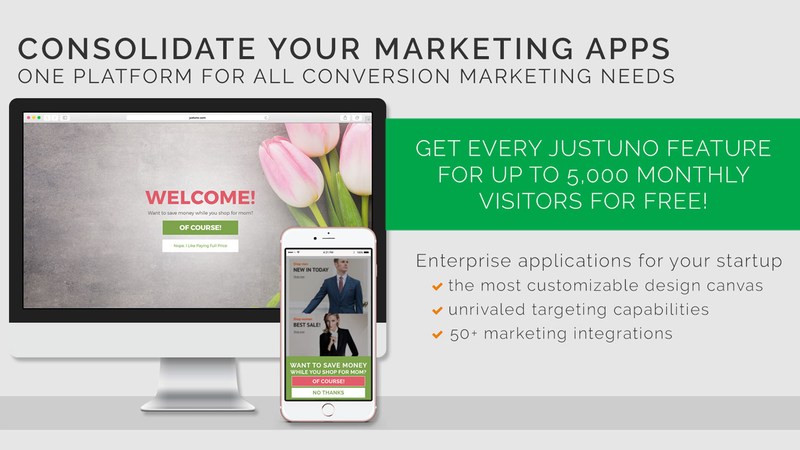 The app allows you to create various types of popups and forms to collect leads from your site. Plus, the app is easy to use, customizable, and it works on all platforms. But then why people look for Hello Bar alternatives? Pricing is the main reason. Hello Bar is free. In fact, the app has a free forever plan but it limits to 10 popups and 5,000 views per month. If you want to get more campaigns and views, then the pricing quickly grows up to $29/month and even $99/month for its elite version. The pricing may change over time, but it can’t help but say that not everyone is ready to invest almost $30 in an app. Another thing is Hello Bar is not for all businesses. They work on all platforms, and you can customize the popups to best fit your messages. However, if you prefer more creative popups like those with gamification, you need to find another app. Especially if you are running an online store, you may need more targeted popups for your sale promotions. Or simply, Hello Bar may not be good enough. There are similar apps out there that reflect the users’ needs better. You will be the one to judge what the best app for you is, but we will help you find the most potential apps in the market. First, we will guide you through 18 apps that are the best Hello Bar alternatives. They help you create various types of popup campaigns to collect leads and boost your business. Some are paid, some are free, and some are even better than Hello Bar in several aspects. Let’s check them out! SiteKit is the closest alternative to Hello Bar. It helps you create a beautiful top bar on your web with easy customization. You can choose various patterns to decorate the bar or pick up the most appropriate color to match your site theme. And like Hello Bar, you can display different promotional offers on the header including subscription forms, ebooks, coupon codes, and other lead magnets. 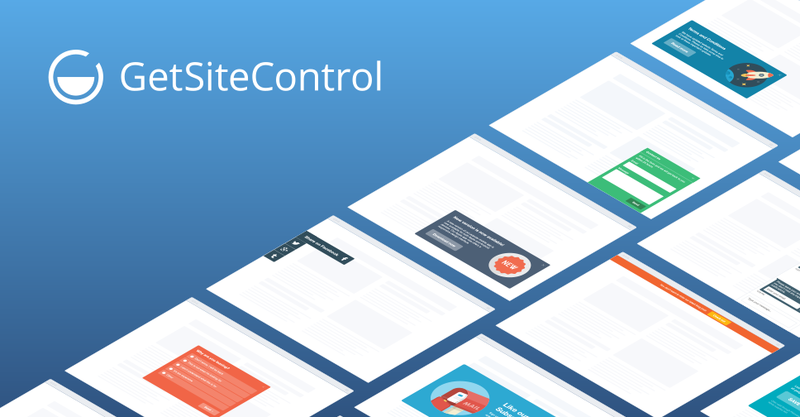 Apart from the smart bars, SiteKit also allows you to build interactive popups on your sites. 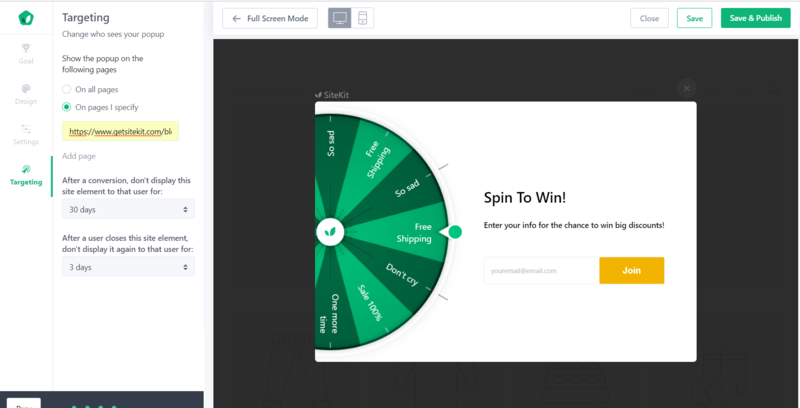 The popups are designed with advanced features like social follow buttons, discount coupon codes, and even gamification (Win Wheel). With these features, SiteKit works for a larger scope of businesses including eCommerce, which Hello Bar considerably lacks. And the best thing is you can use SiteKit free forever with unlimited campaigns and monthly views. The app also allows you to remove the branding logo from the top bar without ever upgrading. So if you are uncomfortable with the Hello Bar logo and want to find a free alternative, SiteKit is a good choice. Pricing: Free. $19/month for advanced features. Sumo is another Hello Bar alternative. You can create many types of popups with Sumo, including scroll boxes, inline forms, welcome mats, and smart bars. The best thing is it has a powerful customization feature. You can choose one from various templated design, then edit it as you want. The app UX is also much intuitive that you can create a campaign within minutes. 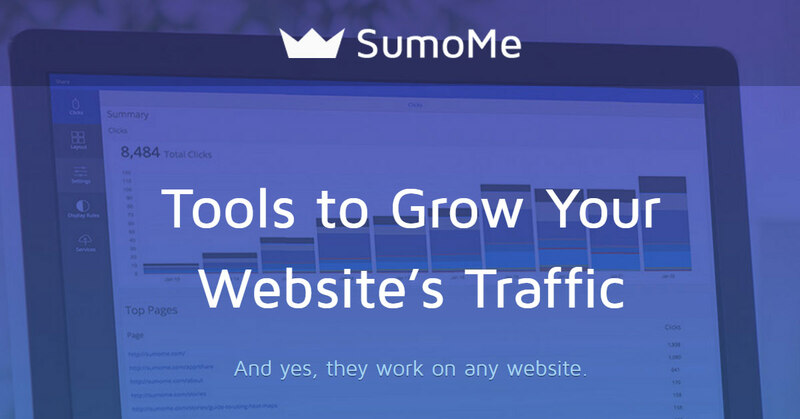 Sumo is available with a free version, which you can create popups with basic targeting and analyzing features. However, just like Hello Bar, you cannot remove the Sumo branding logo without upgrading to their $49 pro version. The paid plan comes with A/B testing, Google Analytics integration, and Heat Map – a premium tool to track the visitors’ behaviors and insights. Pricing: Free. $49/month for advanced features. Justuno is a lead-generation app but it is more focused on eCommerce. Therefore you would get various features to boost online sales such as cross-sell and up-sell popup offers, spin-to-win popups, and push notifications. Other than that, Justuno also has strong customization feature. If you are tech savvy, you will like it. However, it could be a little bit complicated for beginners. In overall, it is a great app with lots of features. You can get all its features even in the free plan, which limits 5,000 views/month only. However, since there are many tools in one app, it takes time for users to create a campaign, not to mention the app is buggy sometimes. Pricing: Free for sites with under 5,000 visitors/month. For sites over 5,000 monthly visitors, subscription fee starts from $29. Icegram is a conversion app that allows you to create 12 types of different call-to-action including popups, floating action bars (top bars), messenger boxes, and even in-line forms. The Icegram team also built more unique tools to catch visitors’ attention such as badges, stickies or ribbons. And just like other Hello Bar alternatives, the plugin had advanced targeting features and A/B testing tool. However, to be frank, you need to upgrade to pay for most of the above features. Icegram does have a free-forever plan, but it only includes popups, action bars, toast notifications, and messenger with limited design and targeting control. Luckily, their pro plans are more affordable in comparison to other apps with similar functions. Pricing: Free. $97/year for 1 site license and extra features. $147/year for 3 sites license and pro features. 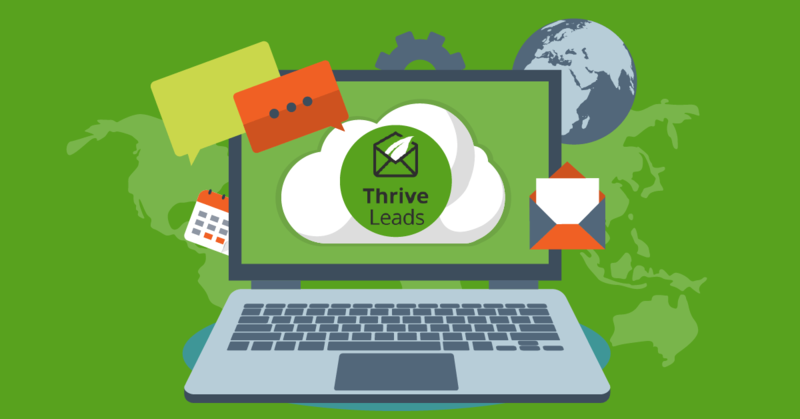 Thrive Leads is a lead-generation plugin for WordPress. With Thrive Leads, you can access plenty of opt-in forms like popup lightbox, sticky ribbons (top bars), in-line forms or scroll mats. Especially, you can even create content-lock forms to convert blog readers, which is much more convenient for bloggers or inbound marketers. The app is strong in customization as well. However, their powerful editing feature could be much difficult for beginners. Still, it has a variety of templates so users can quickly create opt-in forms in a matter of minutes. Apart from that, A/B testing engine, exit-intent technology, and advanced targeting are some other notable features. 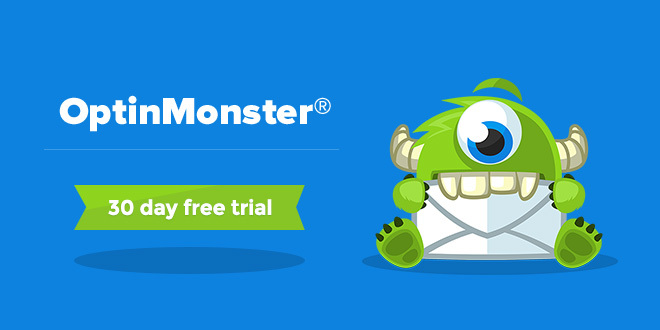 OptinMonster has everything you need to grow your email list. It means you can have access to a huge library of design templates to create various types of forms including top bars, popups, content-lockers, and coupon spin wheels! Especially, its MonsterLinks 2-Step Optins lets you create a popup campaign that is triggered by clicking on any links or images. This targeting option is effective to collect hot leads with seamless experiences. One more exclusive feature is they support websites to fight ad blockers. Even your normal popups could be identified as ads sometimes, let alone real ads on the sites. Then you can use this feature to send a polite message to the visitors, asking them to whitelist the site. It sounds amazing, but OptinMonster pricing strategy is like Icegram. Its cheapest plan is $108/year. In this plan, you cannot have the top bars but lightbox popups only. Its logo is unremovable with a view limit of 5,000. As a result, you need to upgrade to unlock more features. Pricing: 4 pricing plans that are billed annually. 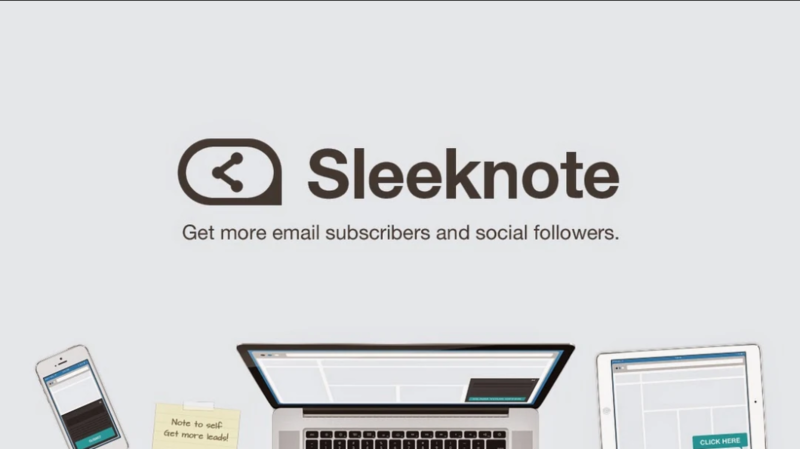 Sleeknote’s slogan is to convert customers without hurting their experience. Hence the developers built the app with extra specific targeting tools based on devices, sources, and even UTM tag triggers. With Sleeknote, you could have in-depth campaign filters for different segments of the audience, ensuring that they would get the most relevant and helpful messages. In overall, Sleeknote is one of the best popup apps in the market. It is intuitive with a wide range of functions to collect leads from your sites. However, the app is more expensive than Hello Bar. Actually, it is €62/month for the cheapest plan, so it is not ideal for small businesses. Pricing: Plans are based on website monthly sessions, starting with €62/month. With AddThis, you can create similar list-building tools like Hello Bar, including popups, banners, and slides. The app UX is pretty much intuitive and easy to use, but it considerably lacks in customization. You have little control in how the popups look, and you cannot remove their branding logo as well. However, AddThis has some interesting tools that may bring great benefits to your sites. You can set up different types of Share Buttons, as a result, expanding your brand awareness. Plus, it includes a Related Posts tool, which works extremely well for bloggers. In terms of social sharing feature, this plugin is more powerful than Hello Bar. The app allows you to put a simple top or bottom bar on your site, where you could have up to 60 share options including Facebook, Twitter, SMS, and Email. You can also lock some premium content and ask visitors to get access by sharing. The app does what it says. If you want to build your brand awareness, then it is for you. However, in case you focus on converting visitors to subscribers or customers, you may need other plugins. WisePops is a powerful app to create different types of popups, including modal popups, full-page popups, site banners, and more. The app is highly customizable. It has a wide range of options to set up the display time, customer trigger, and geographical filter, not to mention a flexible designing tool. Another notable thing about WisePops is it allows users to put videos on the lead-capture forms. Videos may hurt your loading speed a little bit but they definitely worth it to impress the visitors. However, WisePops is a little bit pricier in comparison to other Hello Bar alternatives. No free plan is available, but you have a 14-day trial to test it out. 6 different triggers including landing, exit, scroll, etc. GetSiteControl is an app to help you collect and manage your leads. You can build various lead-magnets to grow your email list, including top bars, popups, and slide-ins. Other than that, you can set up these popup campaigns to do a feedback survey and promote some news or blog posts. Plus, GetSiteControl helps you stay in contact with the customers through live messaging and contact forms. Although the app has limited popup types, it is flexible with smart targeting and triggers. You can set up the popups to display on different devices, languages, countries, browsers, and more. After all, if you put more priority on customer support, then GetSiteControl is an ideal alternative. Optingun is available with 6 opt-in choices, including popups, full screen, sidebars/fly-ins, top bars, in-page/after posts, and widget boxes. Like other Hello Bar alternatives, the app has basic popup triggers like exit intent, time delay, scroll or click on links and images. Its design feature is also powerful, which you can drag and drop different elements of the opt-in. However, the customization is limited in the paid plans only. Besides, Optingun has an anti-spam feature. It allows you to block email from any domains you want, ensuring you can build your list with official email IDs. These 12 apps are the closest alternatives to Hello Bar. However, if you just want a simple notification bar on the site without much need for customization or other smart features, then here are 6 lightweight apps for you. Attention Grabber is a simple WordPress plugin which allows you to create a top bar like the way you do with Hello Bar. The app is customizable with different options in background color, button, etc. One downside is that Attention Grabber integrates with Customer.io only. Hence if you are using other ESPs like MailChimp or Klaviyo, you should consider other apps. 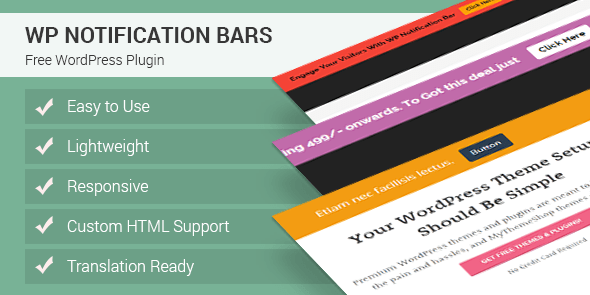 WP Notification Bars is a simple plugin to create notification bars on your sites. The app is customizable, which allows you to change the bar color and text size. Plus, there are some interesting features you may find useful like displaying the bars to Google or Facebook visitors only, keeping the bars fixed on scrolling, and adding custom HTML code. 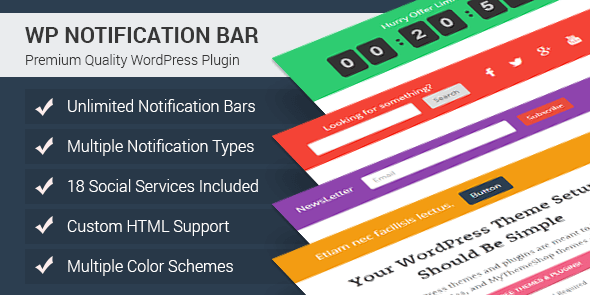 This plugin is the premium version of the above WP Notification Bars. The developers have included more advanced features to the plugin, including social sharing buttons, countdown timers, search forms, and email opt-in forms. The best thing is it also works with 12 common ESPs, so you can get your subscription list imported automatically to the email services. Easy Heads Up Bar is another app for building top bars. The app is like other Hello Bar alternatives, which focuses on helping you set up and eye-catching header bar on your site. However, what makes it different is you can choose the specific start or end date. Hence you can schedule the bars for your promotional events at a precise time. Fluid Notification Bar is a simple plugin for WordPress. If you just need a header bar to welcome website visitors, announce some important news or drive traffic to a specific page, then the app is perfect for you. Plus, the bar can be integrated with social media buttons, so it’s pretty much convenient to boost your fan pages. However, there is no email opt-in so you may need other apps to collect subscribers. If you need more security for your websites, then Top Bar might be the right app for you. You can restrict the bar to show up only to guests or registers users, which is kind of unique. For websites with sticky menus, you can also place the bars at the bottom of the sites to avoid conflict. So it is the list of the top 18 Hello Bar alternatives. Each app has its own pros and cons that fit different needs of yours. If you just want a simple top bar app, then you can choose Attention Grabber or WP Notification Bars. However, in case you prefer all-in-one apps with a more variety of popup types, smarter targeting and designing features, consider SiteKit. The app is free and it gives you all the credits. No branding logo or whatsoever is required even in the free version. If you have any questions regarding these tools, or you have any app suggestions to add to the list, let us know in the comment section. We’d love to hear from you!